Stepping foot on the SRV grounds, one is immediately conscious of being in a haven for children and childhood. The campus creates a sense of intimacy as well as possibilities for fun and exploration. Children are close to nature, and the outdoors is considered an extension of the classrooms. Children learn to love this place that is their school. They and their parents share in its care and stewardship. The school owns 9 ½ acres, about two-thirds of which is woodland, bordered by Ridley Creek. Our students become scientists and environmental stewards by measuring the health of the creek, restoring the watershed, and engaging in resource conservation efforts. Students often don water shoes for “creek walks” in warmer weather and spend time at the creek with their teachers and classmates during classroom hikes. 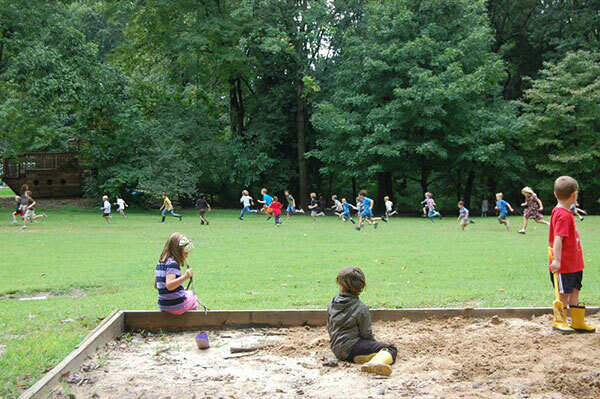 The edges of the woods create a special environment in which children can fantasize, create, and build communities of their own during recess time. The array of complexly designed “forts” and accompanying economies that result (trading materials such as slate and shale for clay and charcoal) help children learn to navigate complex social structures within a fantasy setting. Our playground and field provide ideal sites for sports classes and play, as well as many areas to meet with friends or teachers, journal, sketch, or just relax. 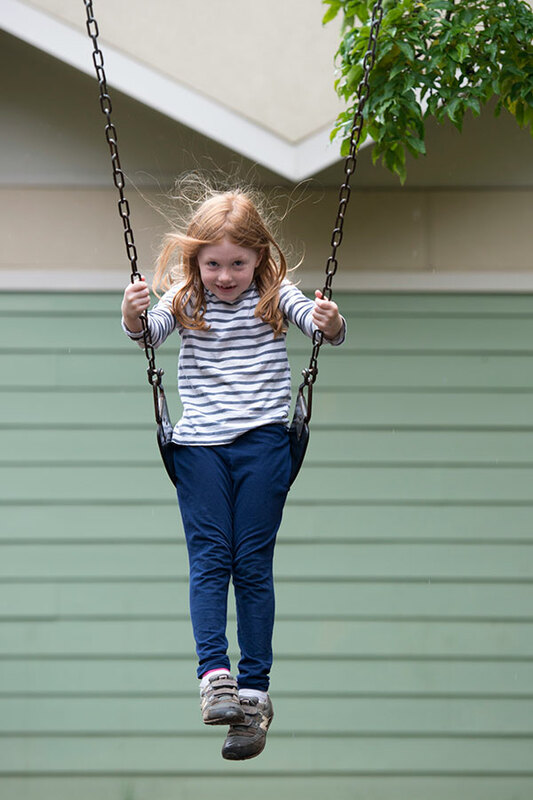 Swings, slides and climbing structures tempt young bodies and keep them challenged. Play houses of various sizes, and a giant wooden ship built by parents and children, invite ever-changing fantasy play. There is a greenhouse and an organic garden located on a rise overlooking the campus. In the garden students grow herbs, vegetables and strawberries. 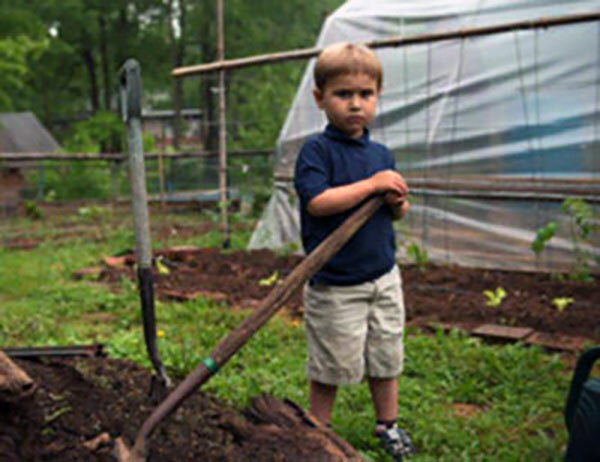 Even preschoolers spend time in the garden and sometimes plant and harvest their own healthy snacks. Next to the garden is our chicken coop, home of a small flock chickens, which the third and fourth graders care for. We use the eggs in classroom cooking projects, and occasionally for part of the all-school lunch. One can’t overlook (or fail to hear) our two sheep, Dawn and Dusk. The fifth and sixth grade students take responsibility for caring for the sheep. This privilege includes feeding them daily, tethering them throughout the campus (they are environmentally friendly grass cutters! ), and mucking out their pen. Finally, the school buildings and classrooms themselves reflect SRV’s history, philosophy and values. The earliest buildings were built by parents. Our more recent ones are as “green” as we have been able to make them. Classrooms are spacious and full of light, and all have doors and windows directly to the outdoors.